How do I do that? I can’t find it in either set of documentation. Is there a screenshot or example? Am I meant to know JSON to accomplish this? 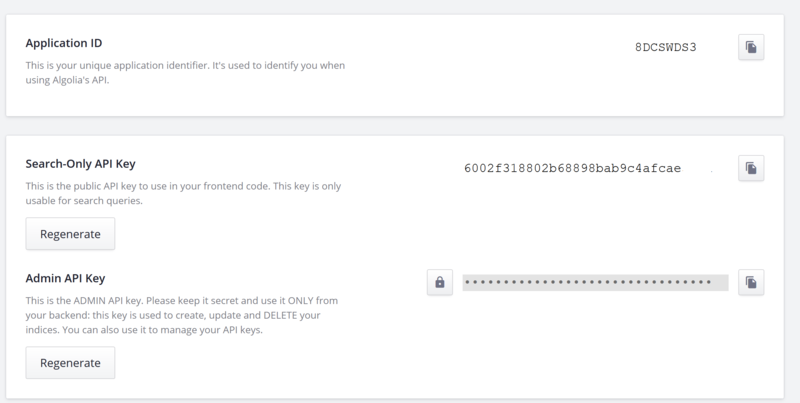 The API keys the plugin asks for do not appear under my API keys in Algolia. Maybe Aloglia updated since the doc came out? There is only “search only API key” and “admin API key”, then “monitoring api key”. I don’t see what the plugin asks for anywhere (X-Aloglia-Shared Headers, and X-Application-ID-Shared-Headers). 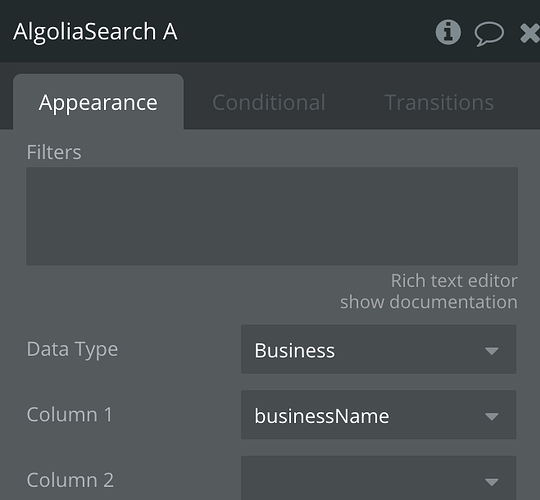 By adding records, we meant add data to your app in Algolia’s dashboard for searching. The “search only api key” is used for api key calls, the “admin api key” is used for update and delete actions. Also you need the “app_id” for the application you set the Algolia. 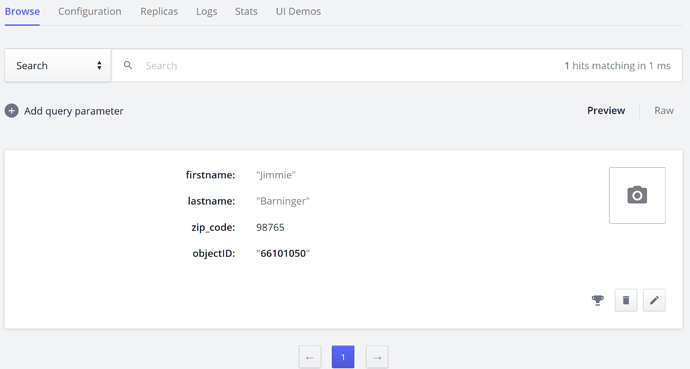 All keys and id could be found in Algolia Dashboard. Thanks for the response @Dumitru! To further clarify on 1. 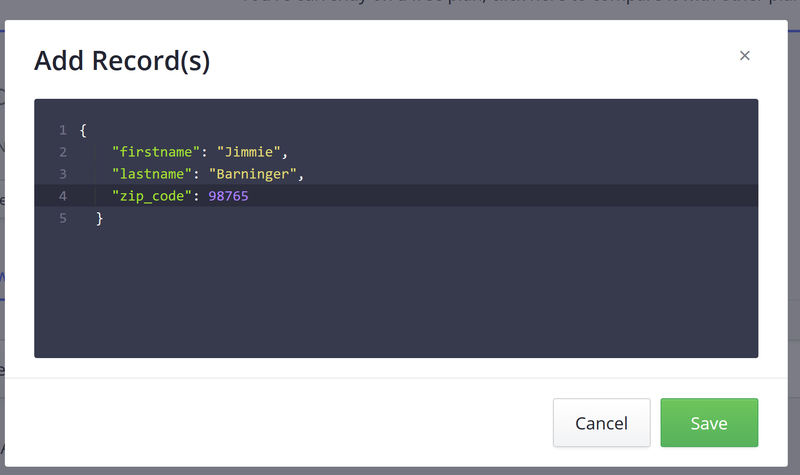 Adding records - I had tried that, and clicked “add manually”, and Algolia presents you with a black screen (which looks like a code editor). I entered my Data type, but they don’t seem to provide a format for what to write, it’s just a blank screen. So, for example, I wrote, “projects” or “my_data_type” , both of which would correspond to my Data Type in Bubble. But it doesn’t accept that, or provide information for how to fill it out. Sorry, seems like you need to know the syntax for adding the data I missed that (you could check more about it in algolia’s doc: https://www.algolia.com/doc/api-client/methods/indexing/). Thanks for the help @Dumitru! I was able to create the record, and setup all documentation plus view the live demo, but unfortunately nothing is showing for me. In Bubble, my Type is “Business” and field is “businessName”. In Algolia, my paramater is “businessname”. Could that be causing the problem? I’m not seeing any results whatsoever.